Do you sometimes feel discouraged with failure? The only way to move forward in life is to try, to fail and to keep trying. Canadian entrepreneur, author, life and business coach, Melissa Dawn is launching her book “I Attract What I Am” which is a healing and informative book about transforming failures and creating a joyful life and business. She authentically shares her personal journey through two experiences with divorce, leaving her position as the VP of Marketing as a single mother to creating a successful and truly meaningful life and business that is heart-led and joy-inspired. Learn from her wisdom as she shares practical steps, tips and key strategies that helped her get where she is today. Pre order your copy of “I Attract What I Am” before July 23rd, 2017 and receive an added bonus worth $250 – access to the first four modules of Melissa Dawn’s life-changing “CEO of Your Life & Business Course” to jump start your own transformative journey! These four bonus modules will help you clarify your values, your life purpose, how to connect to your higher self and how to create a big picture vision of what you truly want while giving you the guidance and confidence to start taking the necessary steps towards it. To transforming your failures into the life you truly want! Read more on the Canadian life and Business Coach. Are you doing something that is helping to create a more amazing Montreal? 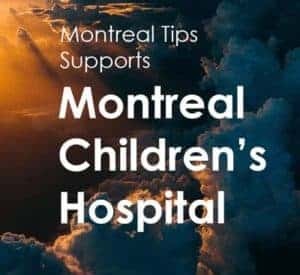 If you would like to be featured on MontrealTips.com – Please check out our guidelines here. Montreal Tips is proud to support and donate to local nonprofit organizations. Disclaimer: Montreal Tips is here to support, share and feature ideas, causes, business and people. We are not liable for your actions based on what you read in these blogs.